with crews who participated in the mission. 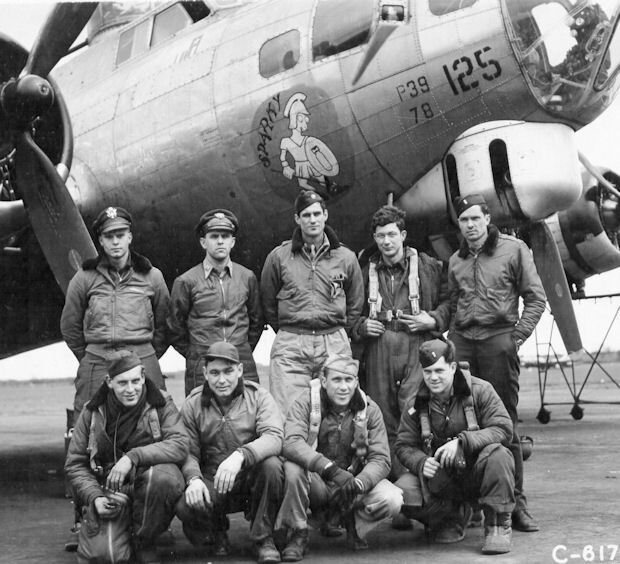 303rd Bomb Group, England. 31 March 1945." (L-R) Spaatz, Doolittle, Capt Harold L. Stouse (pilot), 1Lt Mike D. McCarty (navigator), Major Robert M. Nye (co-pilot).